Just to get you started, here are some other websites to visit in no particular order. 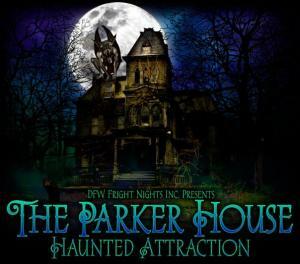 They include other ghost tours, Paranormal Groups, and suggestions of a few places to stay, eat, or shop in Denton. I'm happy to include more (feel free to make suggestions). There are too many to name them all! It's a great little city, and you can definitely fill a day here! Looking for other ghost tours? Galveston Island Ghost Tours is my number one favorite. Historic Jefferson TX Ghost Walk is highly recommended. Ghost Tour Directory lists tours not just in the United States, but internationally! You will be amazed how many ghost tours there are. If you have enjoyed one of my tours, click that picture to the left, and share a review for me. Visiting the Czech Republic anytime soon? Haunted Prague might be the tour for you! You would be surprised at how many paranormal groups are in the area. ALL of them are friendly and willing to help newcomers who are interested in the paranormal. Don't hesitate to give them a call. And, watch our Facebook page for updates. Some of them are planning outings in Denton! Where to Stay in Denton? Thirsty? We can fix that.